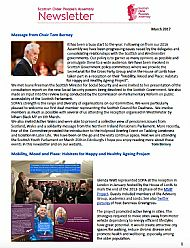 The newsletters are in PDF format. To view downloadable PDF files, you need Adobe Acrobat Reader. If you don't have it installed, visit Adobe's Web site to download for free. Adobe Reader allows you to enlarge the print to suit your eyesight. Run the cursor over the document near the foot of the screen and adjust using the + and - symbols that appear. 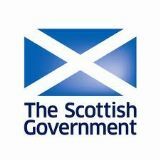 Read about some of the key actions and outcomes of the last two years involving SOPA, its membership organisations and affiliated groups which together are tackling inequalities facing older people in Scottish society. Click image to open. The newsletter will open in a new window. Then click file and save as to download. 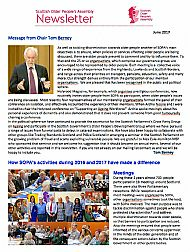 The newsletter contains SOPA activities following on from the 2016 SOPA Assembly from January to March. Also related items of interest by organisations affiliated to SOPA and press articles.